Hosted at the National Baseball Hall of Fame with USA Baseball | July 10-12, 2015. Charity Hop Sports Marketing connects athletes, brands and worthy causes to develop and deploy marketing strategy tied to their personal brand. They also work with sports organizations and teams on strategies and projects that help them achieve their business objectives. The Cooperstown Women’s Baseball Classic is an event conceptualized, planned and managed by Charity Hop. Tournament and event logistics, coordination with international women’s national baseball teams, partnership with the National Baseball Hall of Fame, and sponsor procurement is all managed by Charity Hop. Learn more about Charity Hop Sports Marketing. 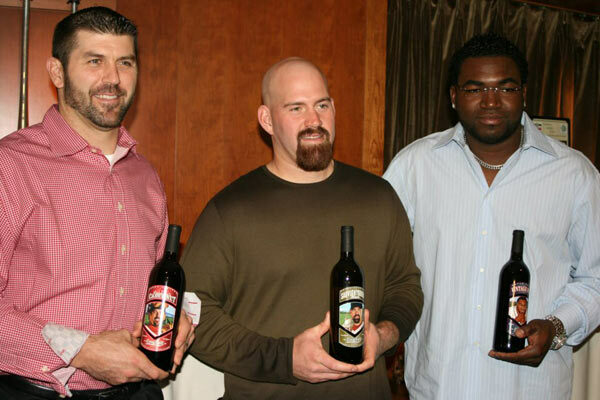 Above: Boston Red Sox players at a Charity Wines event, hosted by Charity Hop, and featuring David Ortiz with Vintage Papi, Kevin Youkilis with Sauvignyoouuk Blanc, and Jason Varitek with Captain’s Cabernet. With more than one millions bottles of wine sold, 100% of net proceeds supported athlete charities.